PUTRAJAYA: The Attorney-General’s Chambers announced the appointment of five retired Federal Court judges, who will sit on a tribunal to look into allegations of misconduct leveled against the Election Commission (EC) for their role in the preparation and conduct of the 14th General Elections (GE14), prior to and on polling day, May 9, 2018. 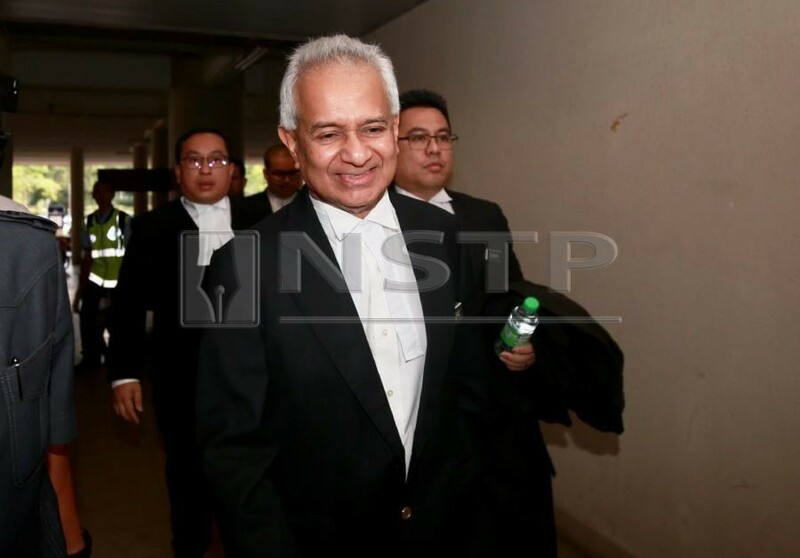 Attorney-General Tommy Thomas said the tribunal members were appointed by the Yang di-Pertuan Agong pursuant to Articles 114(3), 125(3) and 125(4) of the Federal Constitution. The tribunal members are Tan Sri Datuk Amar Steve Shim Lip Kiong (chairman); Tan Sri Zaleha Zahari; Tan Sri Datuk Suriyadi Halim Omar; Tan Sri Jeffrey Tan Kok Wha, and Datuk Dr. Prasad Sandosham Abraham. “The tribunal will convene in the Klang Court on Monday (Jan 28) at 10am to deliberate on matters pursuant to their mandate by the Yang diPertuan Agong, in relation to the following six members of the EC - Tan Sri Othman Mahmood; Datuk Md Yusop Mansor; Datuk Abdul Aziz Khalidin; Datuk Sulaiman Narawi; Datuk Bala Singam Karupiah; and Datuk Leo Chong Cheong,” said Thomas. The counsel assisting the tribunal in this matter, he said, were M. Puravalen of the Malaysian Bar, as well as Kogilambigai Muthusamy and Ann Khong Hui Li from the AG’s Chambers. Ann Khong will also serve as its secretary. Thomas said following the serious allegations made against the EC, the prime minister had represented to the Yang di-Pertuan Agong that the six remaining members of the Election Commission ought to be investigated. “And, if serious misconduct is found, be subject to a possible removal from office pursuant to Articles 114(3) and 125(3) of the Federal Constitution, that is, by the tribunal of judges. “On Oct 17, 2018, it was reported that the government had begun the process of setting up the tribunal. A day later, five members of the Election Commission announced their resignation from office. There was one remaining member, who eventually tendered his resignation on Nov 27, 2018. All these resignations were to take effect on Jan 1, 2019. “Although the six EC members have resigned from office, the tribunal has a free hand to decide on all matters pertaining hereto as they deem fit, when making their recommendations to the Yang di-Pertuan Agong,” said the Attorney-General.